Discover the unique mountain gorillas in Bwindi Forest and watch lions on the savannas of Queen Elizabeth National Park. 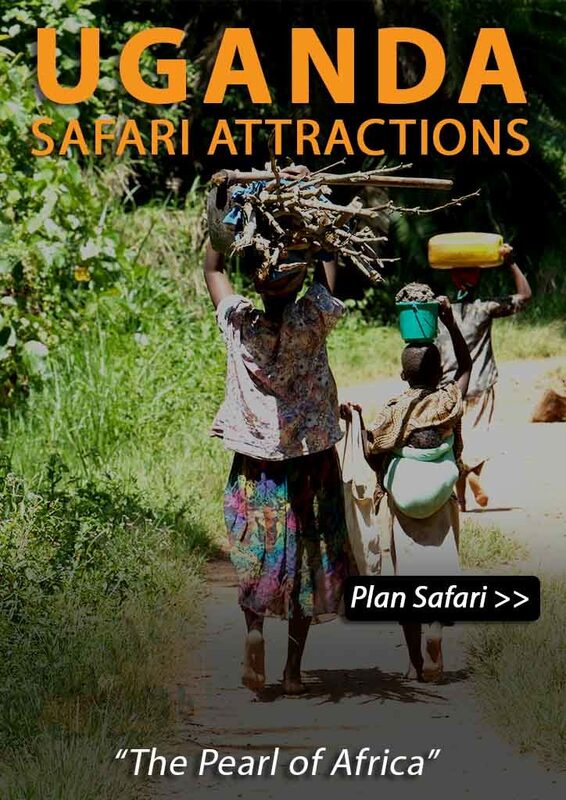 Also make a boat safari on the great Kazinga Channel! Day 1: Welcome in Uganda! You will be picked up from the airport by a representative of your hotel. He will transfer you to your hotel. You will meet your driver/ guide tomorrow morning when he picks you up from your hotel. Day 2: To Queen Elizabeth N.P. 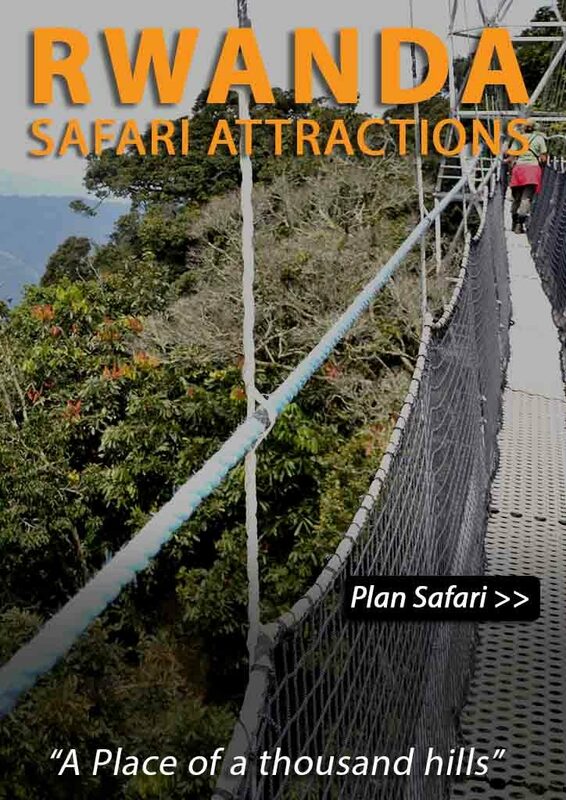 Queen Elizabeth National Park is Uganda’s second largest park, located at the base of the majestic Rwenzori Mountain range, adjacent to Lake Edward and Lake George. The park has prolific game, including Gazelle, Uganda Kob, Warthog and Waterbuck. Lions are often sighted both in the park and at the entrance to the park. Be prepared for huge numbers of hippo and elephant, and keep your eyes peeled for a leopard lazing in the sunshine. In the late afternoon you will go for a game-drive into the park. Today you wake up early. A little before sunrise coffee, tea and donuts will be served in the lounge before we head out for a long game drive in time to see the first rays of light. You will search for all the wildlife in the park and are likely to come across Elephant, Buffalo, Lion, Waterbuck, Leopard, Uganda Kob, and many Warthogs. A well-deserved brunch will be served back at the lodge in the late morning. In the afternoon you will take a boat safari along the Kazinga Channel which joins Lake George and Lake Edward. Here, you will see a lot of hippos (more than you can possibly imagine! ), as well as a variety of other animals which come to the waterhole to drink or bathe. You can expect to see buffalo, crocodile, bathing elephant, and a range of beautiful birds. This will undoubtedly be one of the highlights of your tour. For visitors who yearn to get up close to wild African fauna, a research trip is a rewarding adventure. This new and unique experience allows visitors to actively participate in monitoring some of lions in the park, using locator devices and learn habituation calls, as well as monitoring weather, surroundings and behavior. The results are added to researchers’ databases, contributing valuable information to the overall understanding of wildlife ecology – and helping to conserve this wonderful ecosystem. This will as well gives you a 95% chance to see the lions! For visitors who yearn to get up close to wild African fauna, a research trip is a rewarding adventure. This new and unique experience allows visitors to actively participate in monitoring some of the exotic birds and mammals that fill the park, using locator devices and learn habituation calls, as well as monitoring weather, surroundings and behavior. The results are added to researchers’ databases, contributing valuable information to the overall understanding of wildlife ecology – and helping to conserve this wonderful ecosystem. The experiential tourism activities currently available are Mongoose Tracking, Lion Tracking, Hippo Census, and Bird Counts. The number of people on each outing is limited in order to reduce stress on the animals and to increase the quality of the experience for visitors. Experiential tours lasts between one and three hours. They usually take place in the early morning or evening, or occasionally at night. All activities must be booked through the Visitor Information Centre in Mweya at least 24 hours in advance. After breakfast you will game drive on your way out of the park. After that you will go to Ishasha where you will look for the tree climbing lions: To escape from the heat during the day, the lions here have learned how to climb the fig trees. If you are lucky you might spot a few during your game drive, so keep your eyes open and look up! 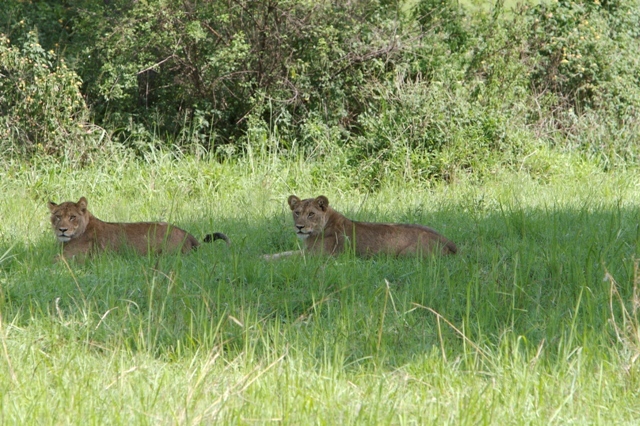 Besides these famous lions, there is other interesting wildlife to be seen, like buffalo and the Uganda kob. Lunch will be provided at Ishasha Wilderness Camp in Ishasha. After lunch you will drive to Bwindi Impenetrable Forest; home of the Mountain Gorillas. Get a good night’s sleep because tomorrow you have to be fresh for the Gorilla trekking. Today is the big day… prepare yourself for an encounter with one of Bwindi’s gentle giants: the endangered mountain gorilla. For most people this is the absolute highlight of their tour in Uganda. Bwindi Impenetrable Forest boosts both mountain gorillas and chimpanzees – the only forest in Africa which can make this claim. It also hosts five other species of primate, 113 species of mammal, over 200 butterflies and 360 birds. The gorillas you track belong to one of nine habituated family groups who can tolerate the presence of humans for a brief period every day. Your track will be an exciting journey along forested slopes, entwined vines, bushes and bamboo before you eventually reach the gorilla family. The time taken to track the Gorillas can be as few as 2 hours to as many as 7 hours. Once the Gorillas have been located, your group will be allowed a maximum of one hour with them. Coming face-to-face with a mountain gorilla is a truly humbling and emotional experience. This is a fantastic and privileged opportunity to get up close and personal with Uganda’s very own ‘Gorillas in the Mist’. After breakfast at the lodge, you will drive back to Kampala or Entebbe (Airport) stopping at the equator for the requisite snapshot and a bit of souvenir shopping. Accommodation for tonight is not inclusive in the itinerary. If you wish to depart tonight from Entebbe Airport, make sure your flight is at 8 pm or later. If you want us to book one (or more) nights in Kampala and/or Entebbe, please let us know. Depending on the amount of travellers you travel in a regular size landcruiser (2-5 persons) or Extended landcruiser (6-7 persons). The Toyota Landcruiser is the most used safari vehicle in Africa, It’s strong, it’s high up and spacious. Of course it looks good, too! The car suits a maximum of 5 persons and has a pop-up roof for a perfect safari view! The extra costs for this option is $150,- (divided by number of persons traveling). These costs don’t apply when you are traveling with 3 – 5 persons, as this car will be included. The extended Landcruiser is for some the ultimate safari vehicle in Africa. It’s 4wd, spacious, high up and strong. The extended land cruiser has even a fridge on board! There is aircon in the car and, of course, an open roof for an excellent safari view. The extended landcruiser is suitable for a maximum of 7 persons. The extra costs for this option is $600 (divided by number of persons traveling). These costs don’t apply when you are traveling with 6 – 7 persons, as this car will be included. 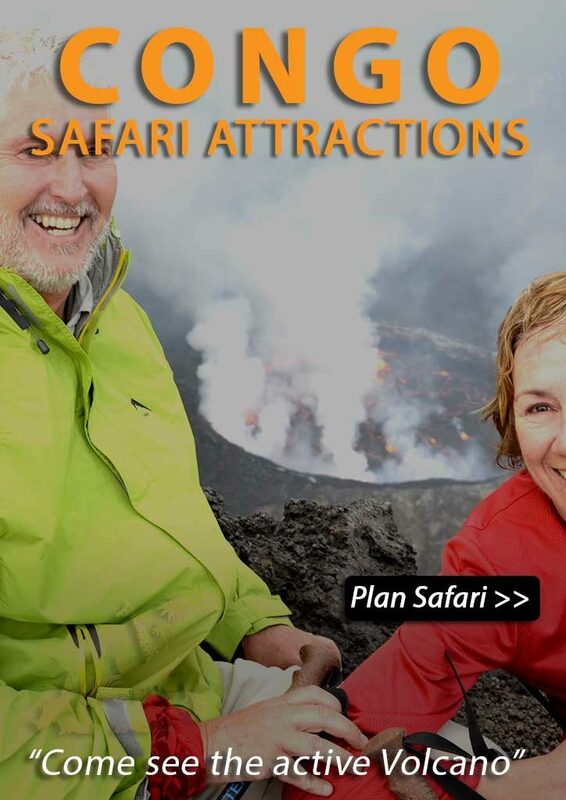 Start planning your safari with someone who’s been there! Start shaping your tailor-made trip with recommendations, up-to-date knowledge and an authentic take on Uganda Safaris from our specialists. “Our expert consultants know the region well and have all travelled throughout Africa. Copyright © 2018 Wild African Adventures.